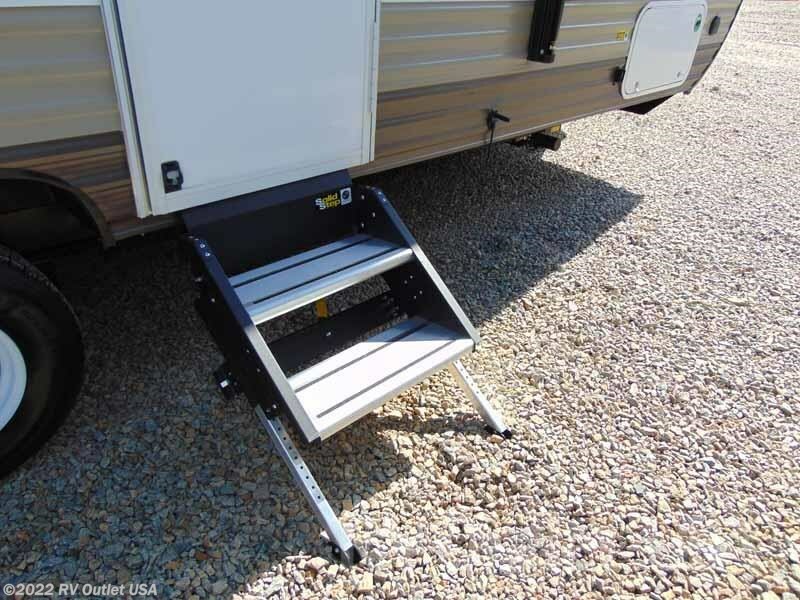 NEW FOLD DOWN ENTRY STEP ** SPARE TIRE AND CARRIER! 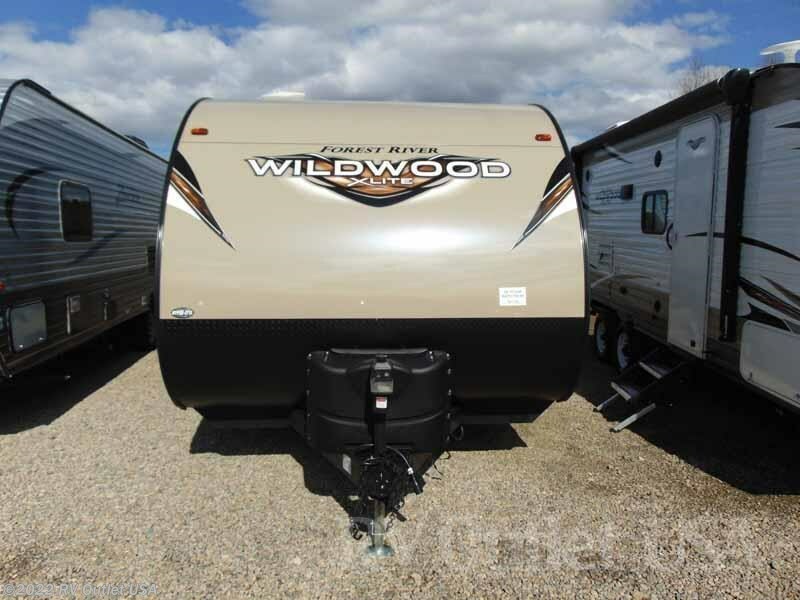 1/2 TON TOWABLE ** WEIGHS 4,173LBS ** SLEEPS (6)! 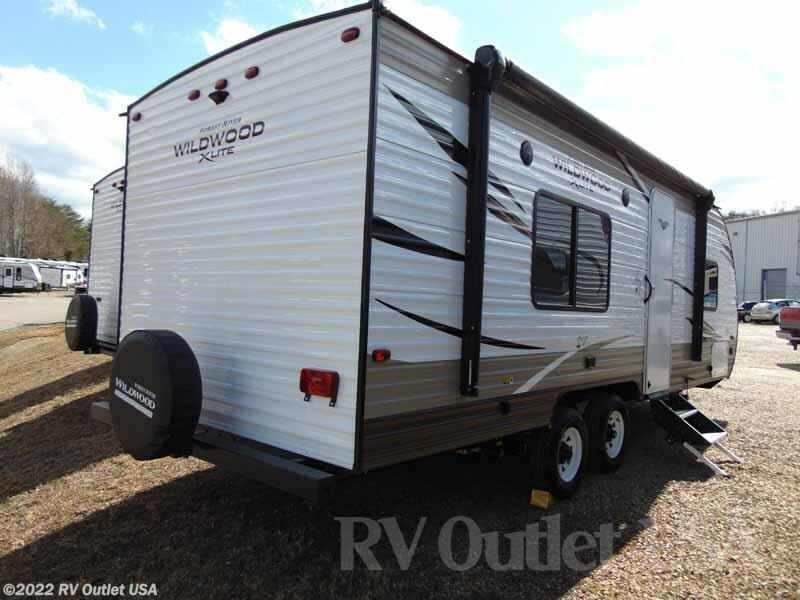 Introducing one of Forest River Wildwood's newest X-Lite floor plans! 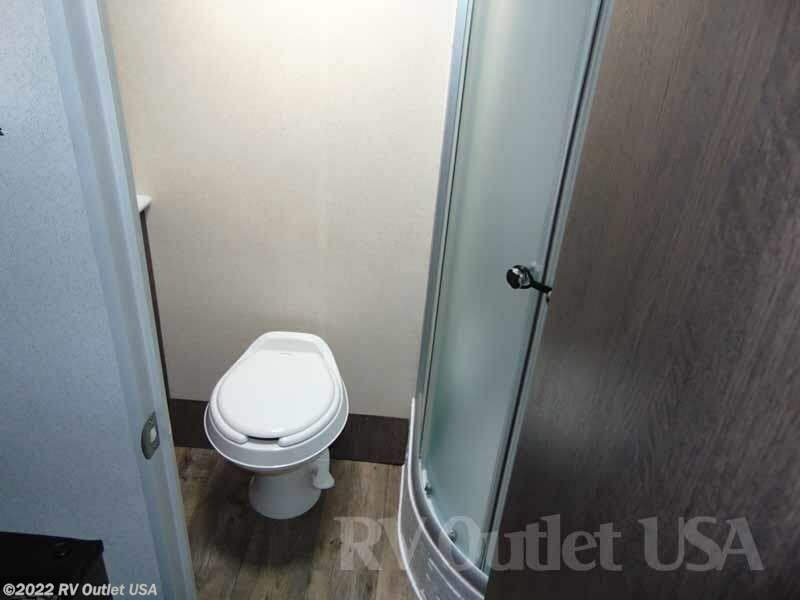 The all new 2018 241QBXL which is 26' long, weighs only 4,173lbs, has a super nice rear bathroom and will sleep up to (6) people! 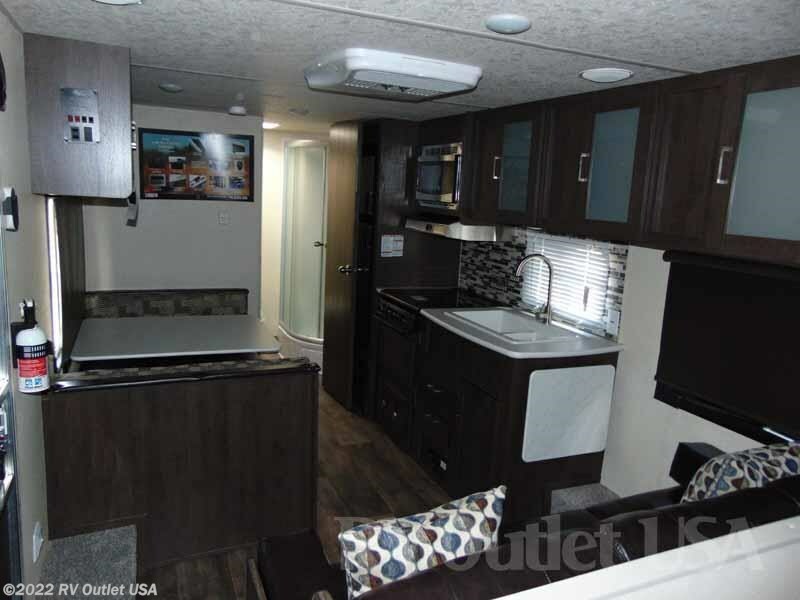 This honestly is a really nice floor plan! 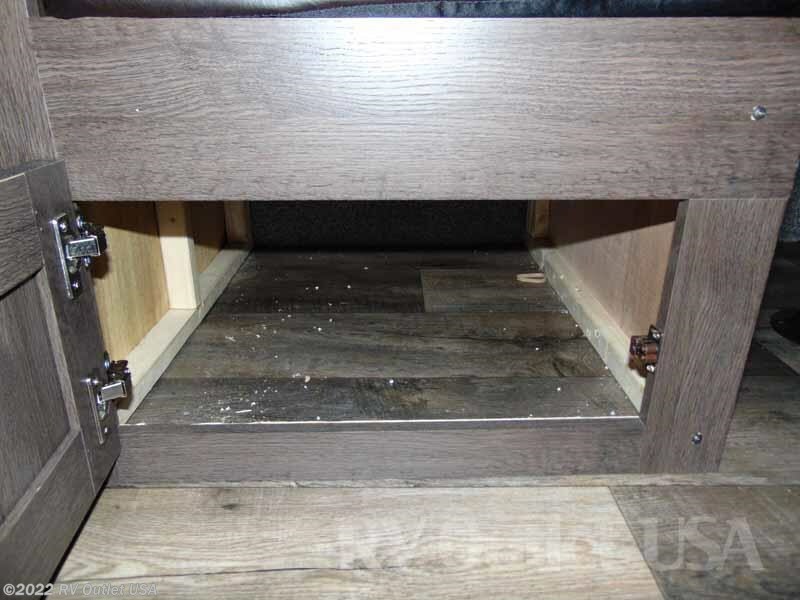 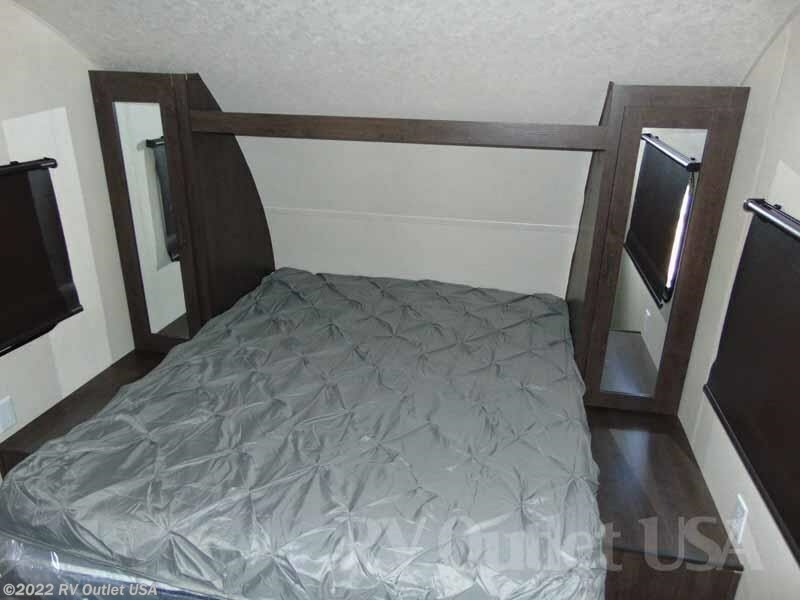 It has a walk around front queen bed with underneath storage, a 3/4 mid wall at the foot of the bed and on the back side of the wall is a jack knife sleeper sofa. 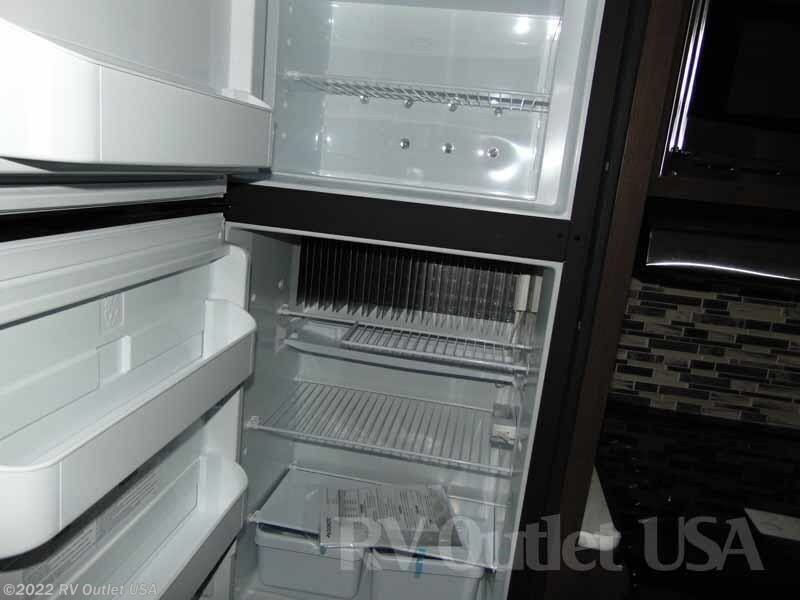 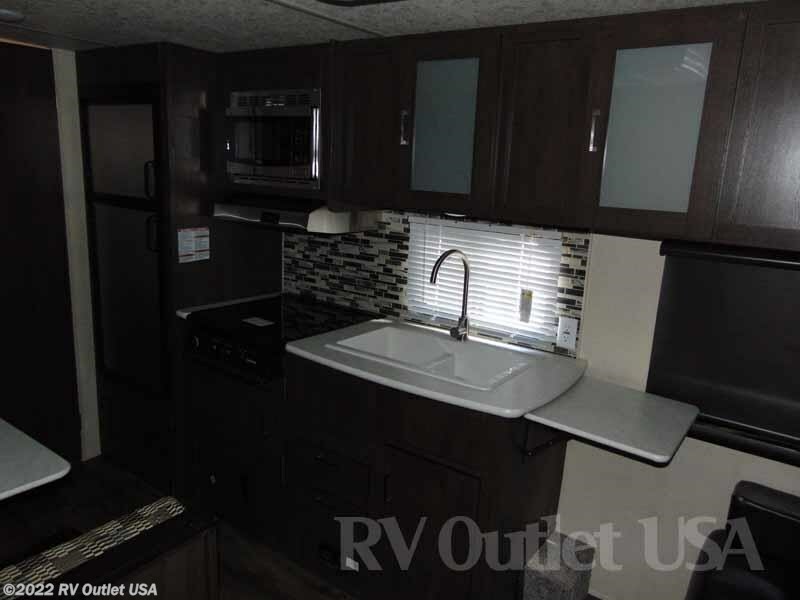 This floor plan has a full galley (kitchen) with a double sink, a (3) burner stove top, a microwave oven with an exhaust hood, a large pantry and the optional double door refer. 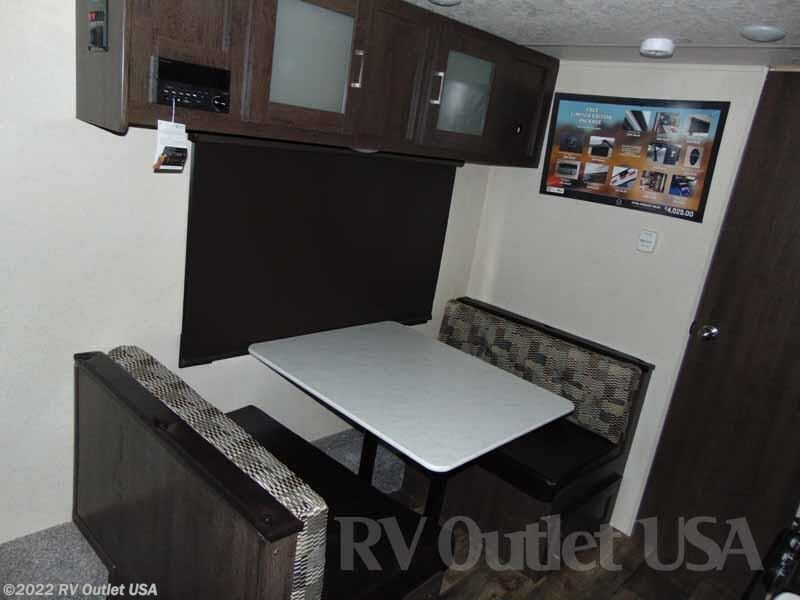 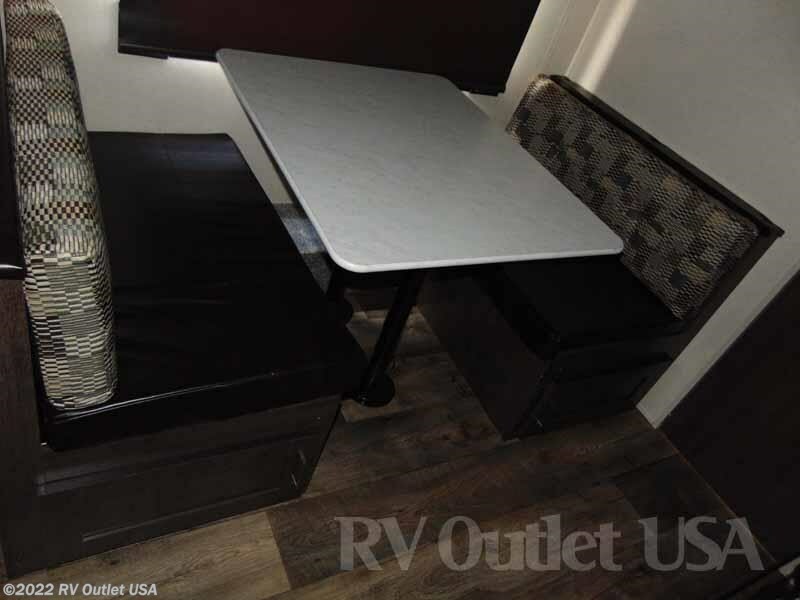 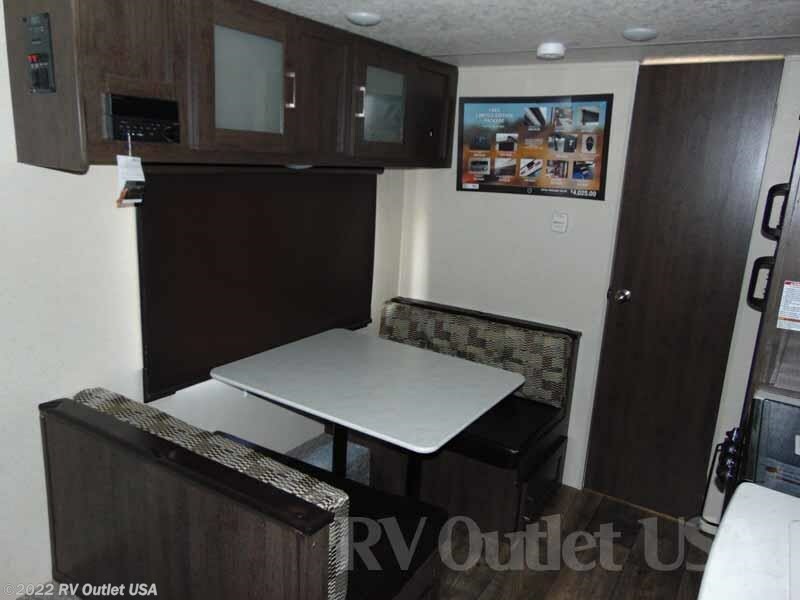 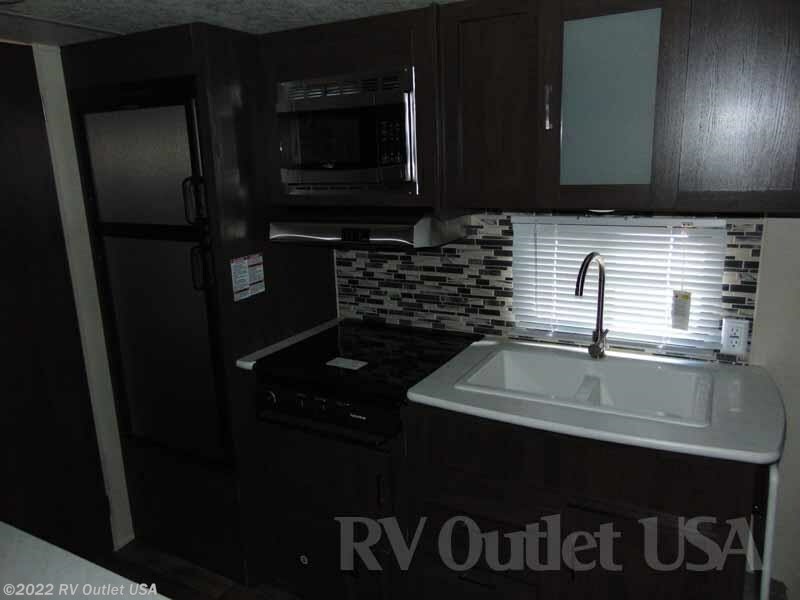 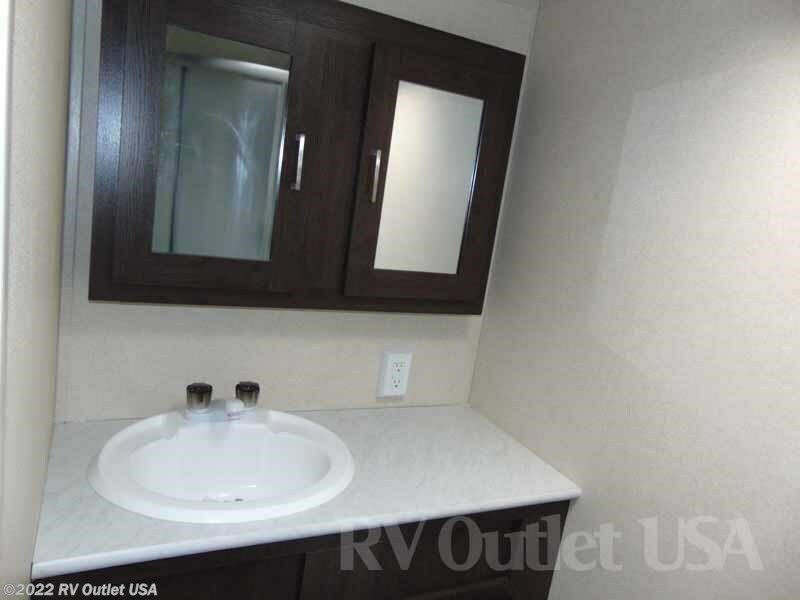 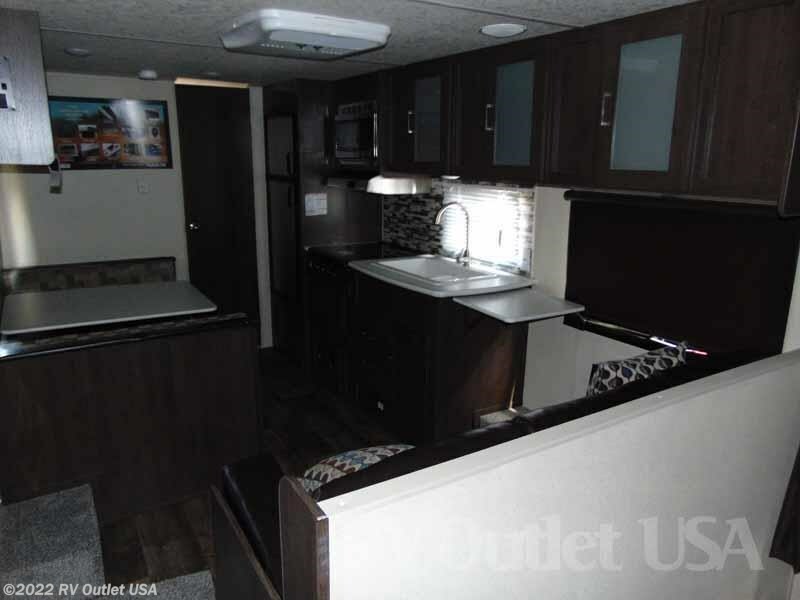 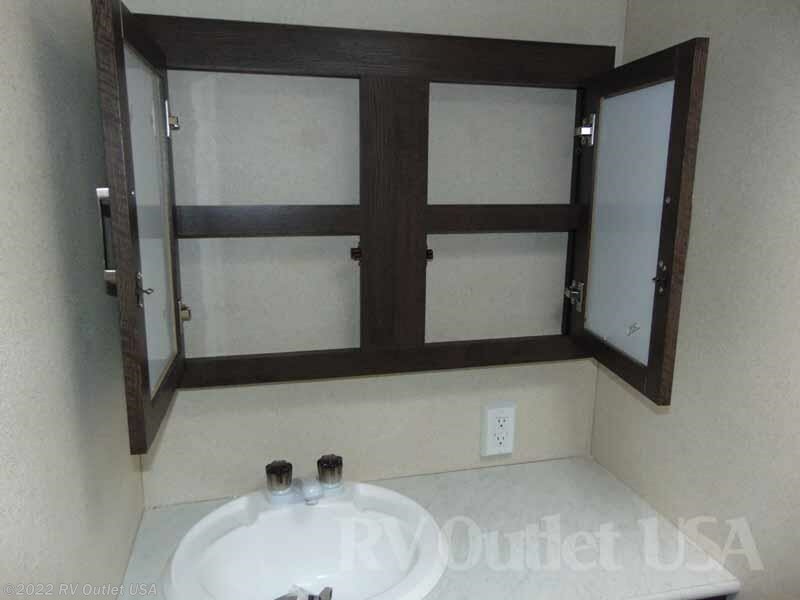 Across from that is a booth dinette that also converts into a bed for extra sleeping room which allows you to sleep up to (6) people in this RV. 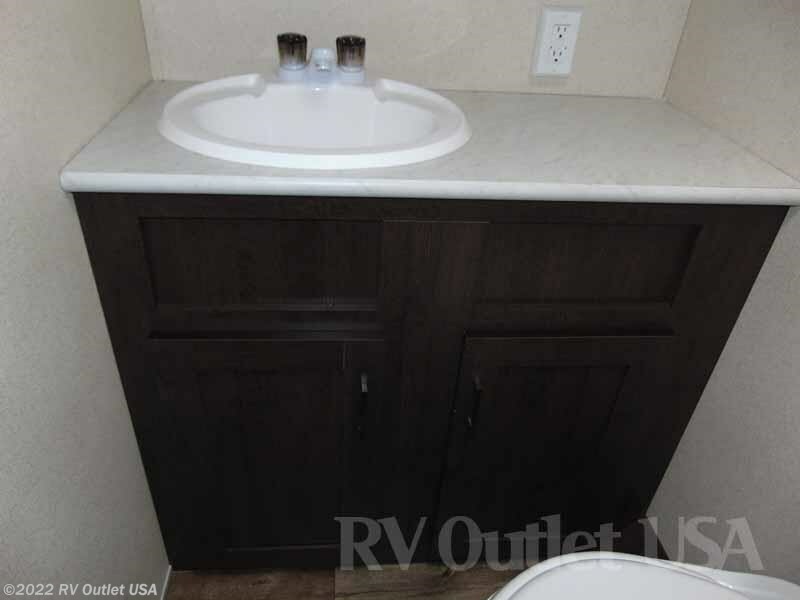 In the rear is a huge bathroom with a radius shower with glass enclosure, a foot flush toilet, a sink with underneath storage and a medicine cabinet. 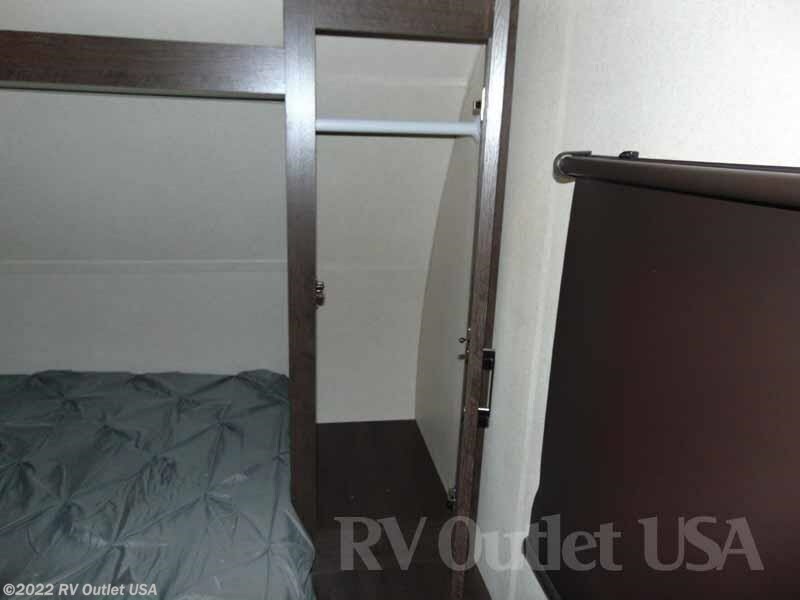 It's a very nice layout. 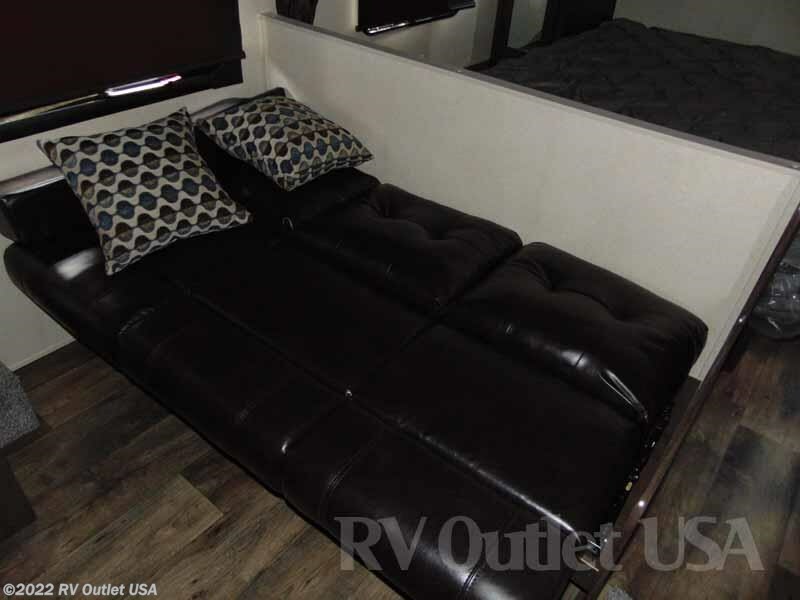 This is a perfect couples coach! 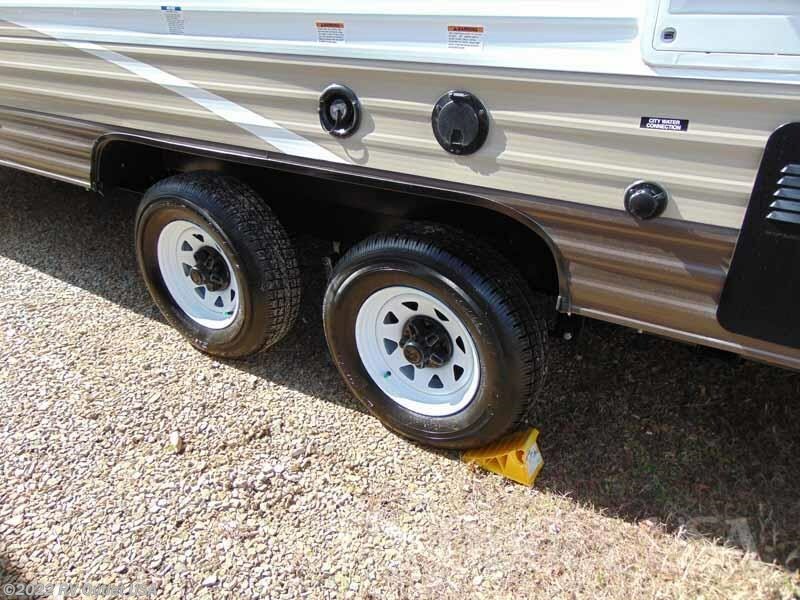 Here's a list of options that were ordered on this 241QBXL. 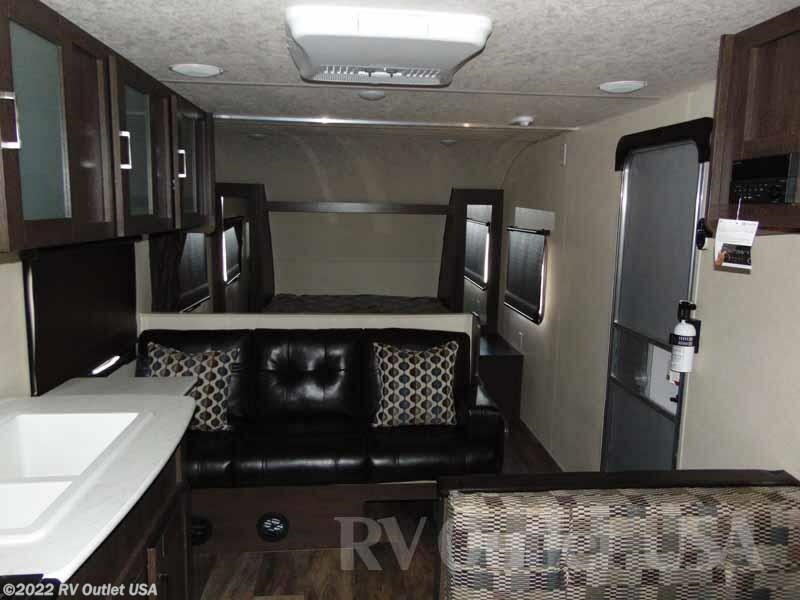 The interior color is Tiffany. 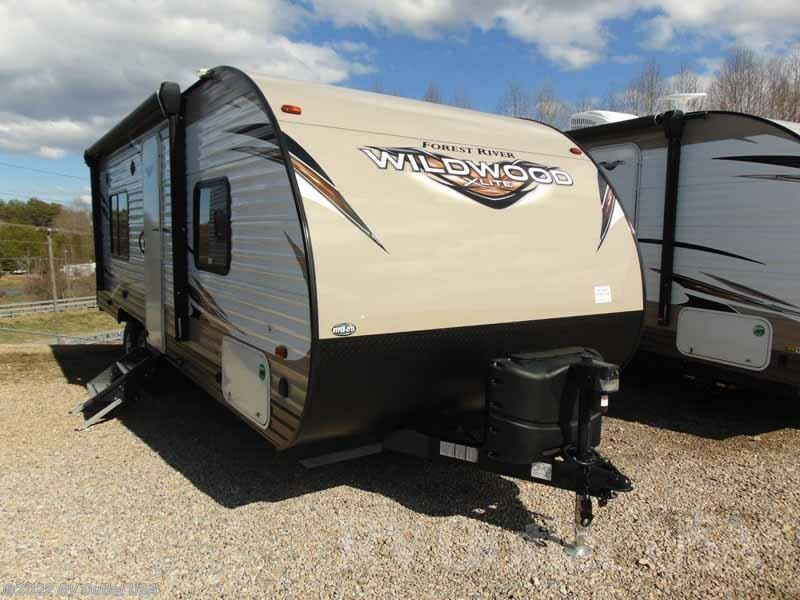 It has the double door refer in place of the single, a spare tire and carrier, radial tires, the new fold down secure steps, a foot flush toilet, recessed cook top with glass cover, 2" modern roller shades with auto stop, LED interior lights, green package with Furrion solar prep and LED mushroom lights, a power tongue jack, a one touch power awning with colored LED lights, stainless steel appliances, power stab jacks, a push button remote system, and a DVD/MP3,CD/FM stereo system! 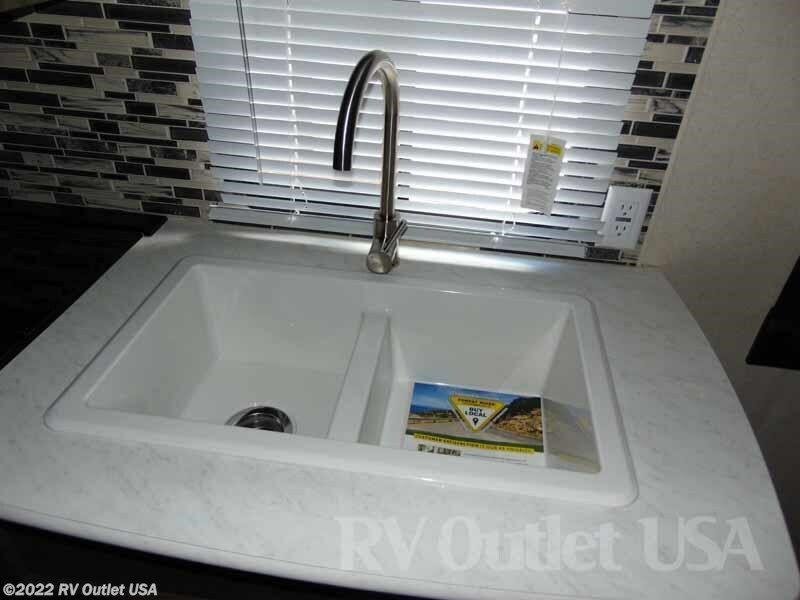 This RV is loaded with options! 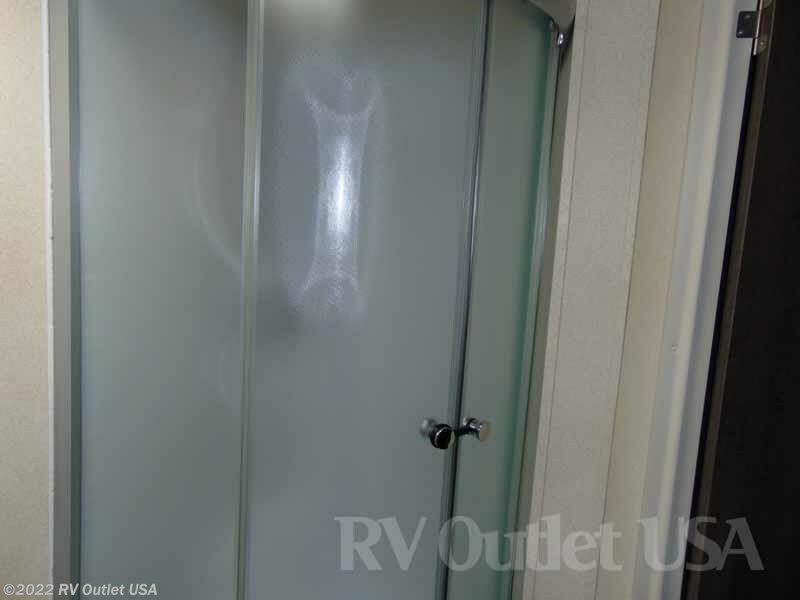 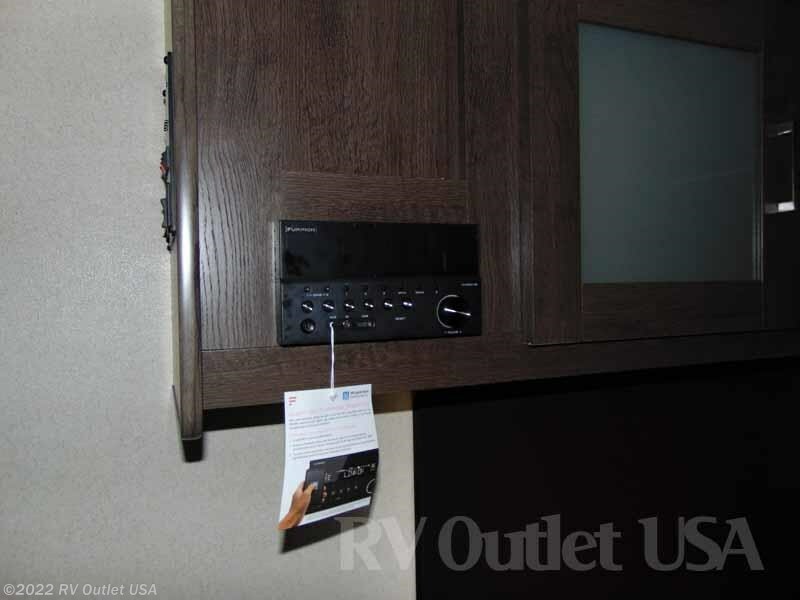 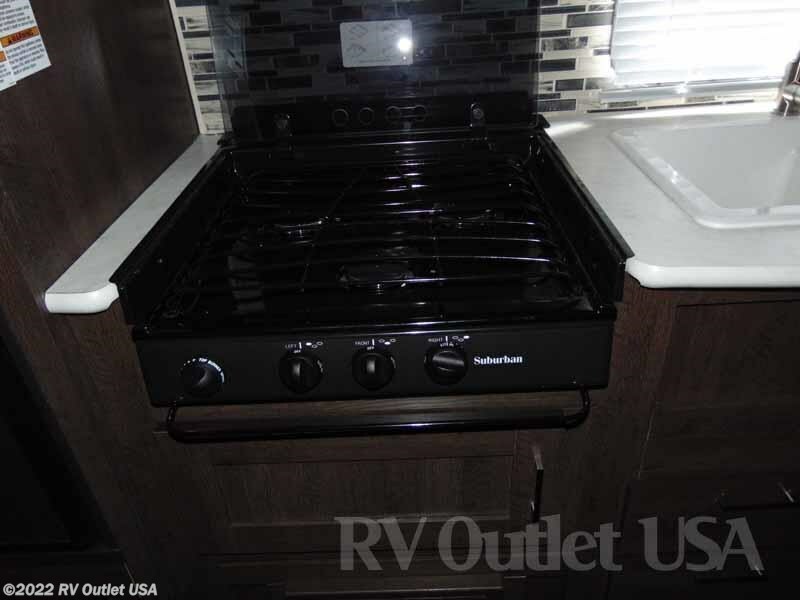 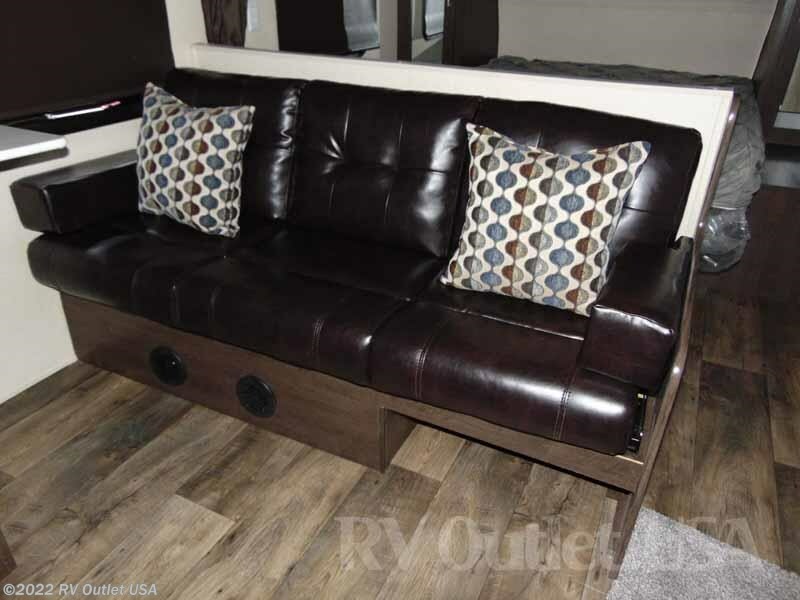 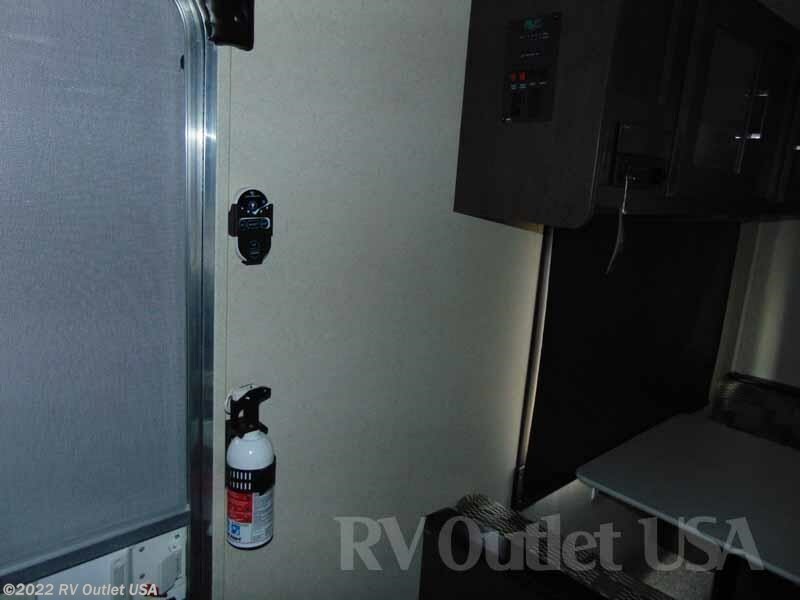 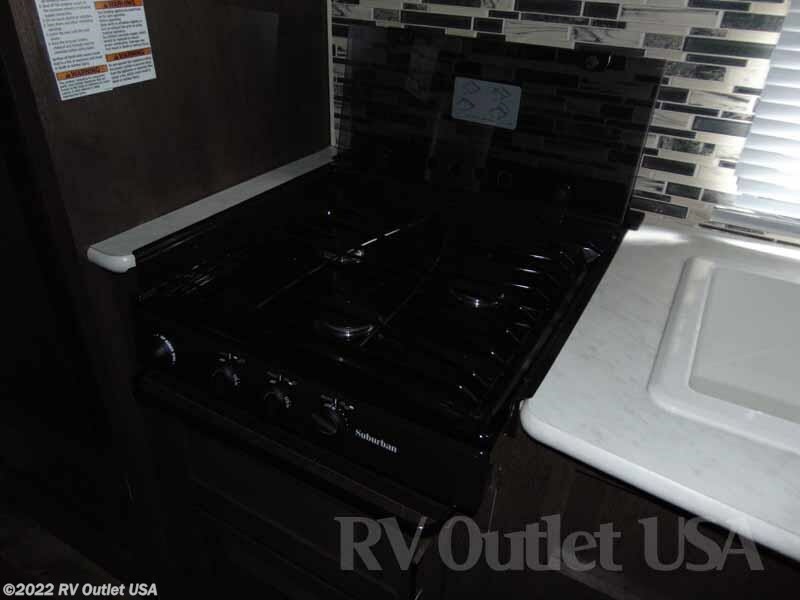 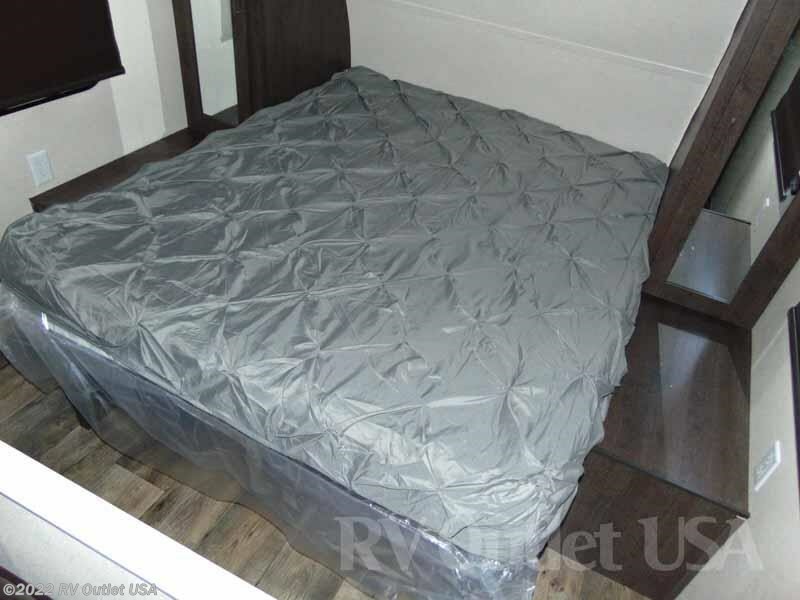 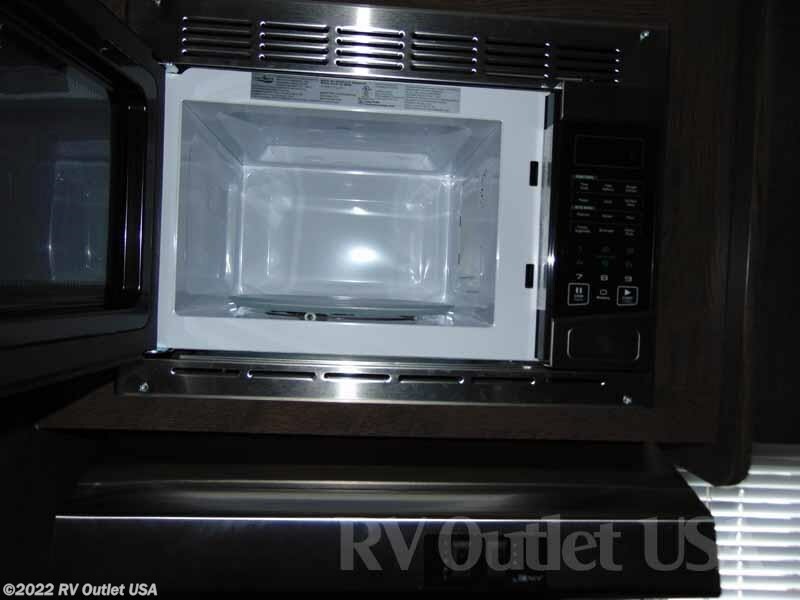 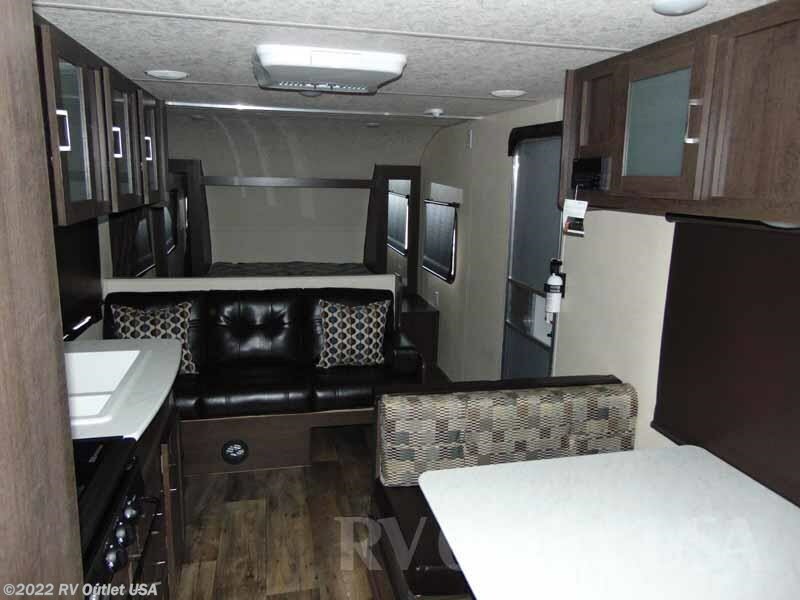 If you have any questions about this or any other RV we have, please feel free to call us at 888-299-8565 or you can email us at rvoutletusa@yahoo and our direct website is RV007(DOT)COM. 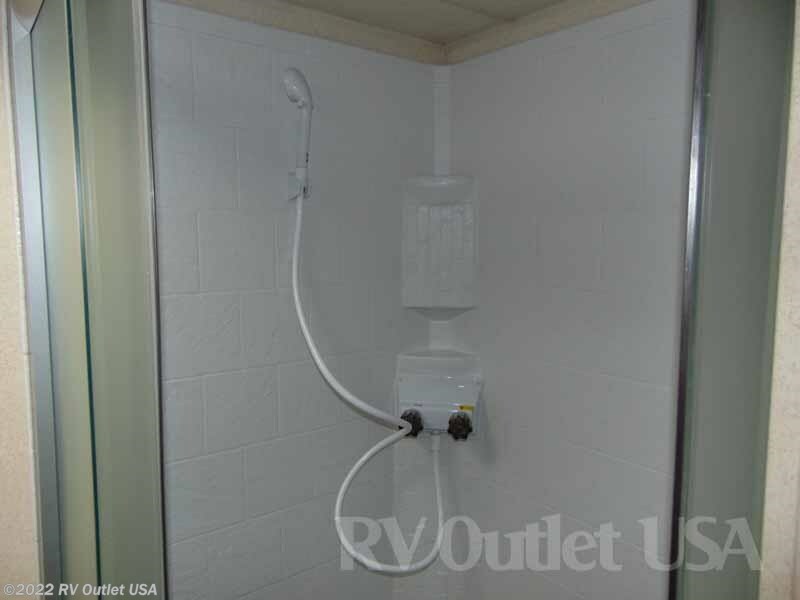 We're a family owned business and you won't find high pressure sales tactics here! 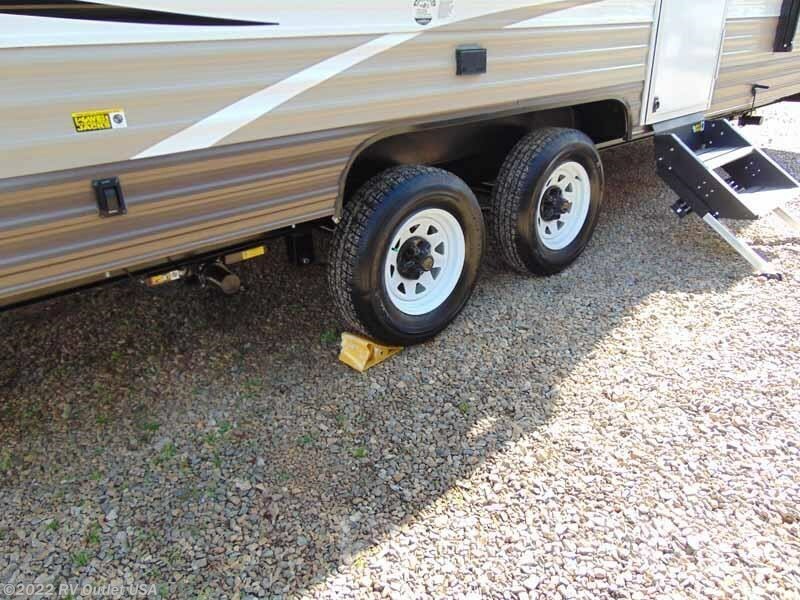 We have NO DOC, PREP, PDI OR TRANSPORT FEES LIKE THE LARGER CHAIN STORES and we also offer our customers the lowest prices on weight distribution kits, parts and accessories. 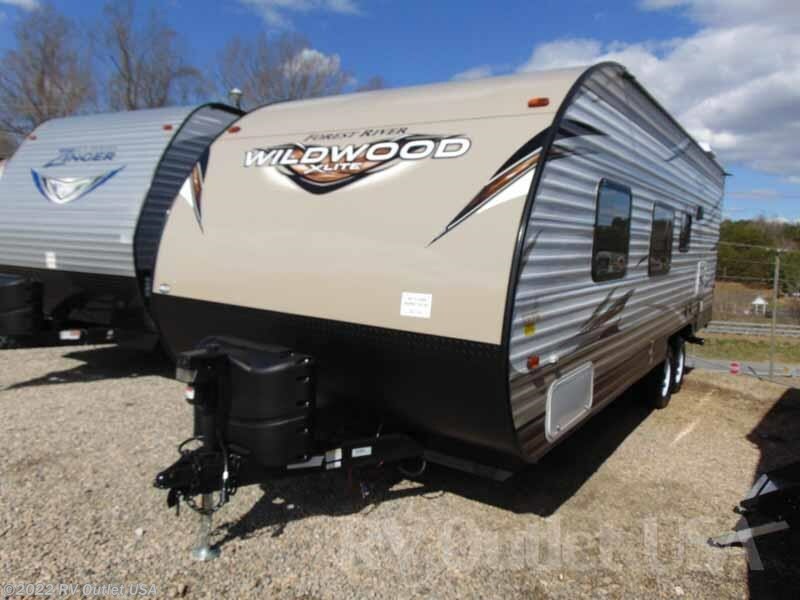 If you need financing, we'll have the best rates around!